Large imprint area perfect for company branding. 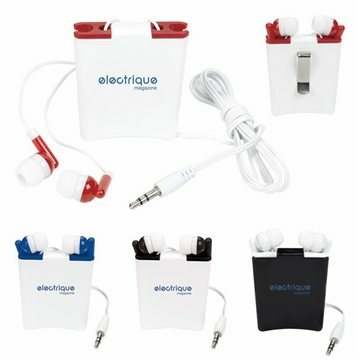 high quality ear buds great for listeing to your favorite audio. Clip allows for the case to easily be attached to your collar or shirt. Back of case and clip perfect for wrapping and organizing earbud cord.